If you’re looking for ways to improve the performance of your ads and you haven’t implemented ad extensions, you’re missing a trick! Ad Extensions come at no extra costs, you will be charged for the Clicks but at no additional cost to what you would pay for a click normally. By providing additional information about your business, products, what your customers think, etc to searchers you can encourage people to click on your ads. These people are often more likely to convert as they are more qualified. There are many types of ad extensions available and not all of them will be relevant to all businesses but usually at least some of them will be useful to most businesses. Ad extensions can improve CTR, reduce CPA’s, improve ROI and boost conversion rates. Google have said that ad extensions can improve CTR by 20% to 30%. Ad extensions provide users with additional information about your business, services, products, locations, etc. 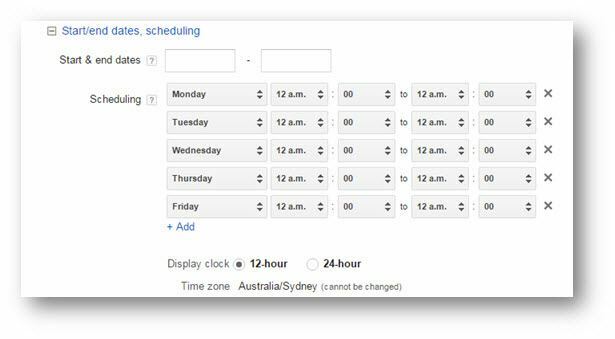 Scheduling: Like many account components you can create schedules that determine when your ad extensions show, from hours of the day, days of the week, etc. You can also set start and end dates for them to cover period of seasonality. 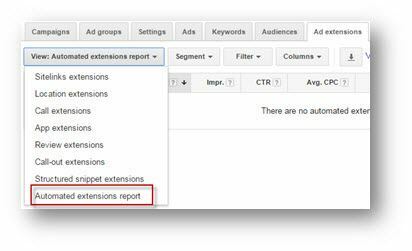 Reporting: AdWords provides detailed reporting on all extensions, Clicks, Impressions, Conversions, etc. You can use this data to split test and optimise your ad extensions. We cover specific benefits to each type of ad extension later in this guide in more detail. Creating ad extensions does not mean that they will appear; firstly you will need to have an Ad Rank high enough for the extensions to appear. Not all extensions will show all of the time, you may find that only some will show or combinations of them will appear at any given time. 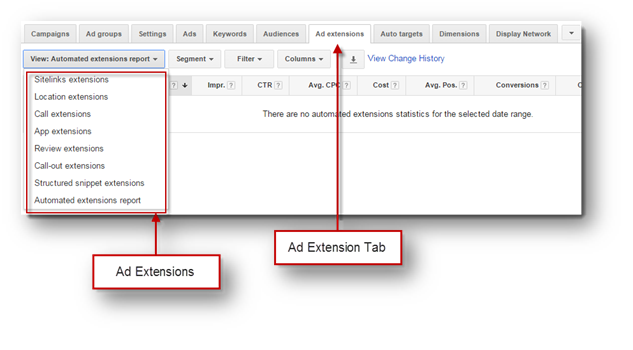 You can view ad extension performance within AdWords. Ad extensions can be added to the account at different levels such as campaign or ad group, depending on the extension itself. This provides more granular control over what extensions are shown. Some ad extensions can be managed from AdWords Editor (Sitelinks and Call Extensions). Ad Extensions provide the functionality to be highly granular, creating them at ad group level or for products, categories of products, and all in unique ways. Clicks on the link to the app are charged at the same rate as a click on the ad are therefor managed by whatever biding strategy you are using. The aim of this is to encourage app downloads for advertisers who have this as a goal. Google said that this could improve CTR by 6%, or at least this was on the beta text done back in 2012. There are many benefits to using mobile app extensions; we have listed these below. Customised for different devices: It is possible to create mobile-optimised app extensions (similar to optimised mobile ads) that appear on mobile devices, or you can choose to disable specific app extensions on chosen devices. “Smart” detection of app store and device: If you have created app extensions for each of the available app stores, Google will detect the device and show the relevant app extension for that device to the user. For example if you have an Apple Store app extension, Google will detect the operating system of the searchers device and show them that app extension over the others. This also works for devices, so for example tablet specific app extensions will not show to searchers using a mobile phone. In-place editing: If you edit / amend the app extensions in your account, this will not reset its performance statistics (unlike ads). To find out what Google has to say about their app extensions, please follow the link. To find out what Google has to say about their call extensions, or Google’s policy on numbers please follow the links provided. Location extensions of the search network show the address and phone number of the business (see example image below), this is appended typically to the bottom of the text ad. Location extensions are eligible to appear on partner sites, if you have partner sites included in the network settings of the campaign. Ads do however vary in format and may or may not include a map. This is very valuable as user intent is typically very high for people searching for businesses in Google Maps, especially for stores, shops, restaurants, etc. You are charged (CPC) when someone clicks the title of the ad, swipes up, taps the arrow button or clicks to expanded map on a mobile device (in order to see more of the map). When someone clicks on the expanded map they are directed to either the Google Maps for Mobile app or maps.google.com. On the display network, location extensions may show on text ads if the searcher that is seeing your ad is determined to be near one of your locations. 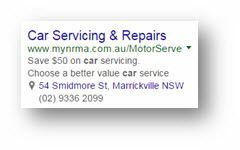 If your Google My Business has more than five reviews and an average of 3.5 stars (at the minimum), then this can show a star rating (review score) in the location extension of the text ad. This provides a notable advantage for advertisers as this makes the ad stand out and provides a sense of credibility to users. On most modern phones with full internet browsers, location extensions will show on both the search and display network as well as Google Maps for mobile. This is often the most valuable user, so having custom mobile ads that take advantage of location based targeting maximises ad performance. Mobile users are often actively and physically trying to find either your business or any business that sells your services or products. 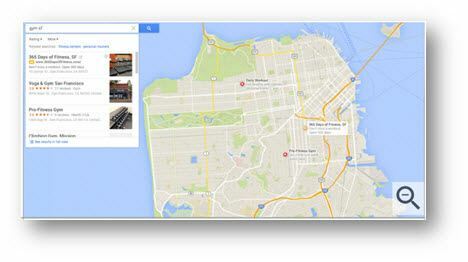 To find out what Google has to say about their location extensions, please follow the link. Reviews are a very strong tool when marketing a business, independent and honest praise from customers lets potential customers know how good you are. 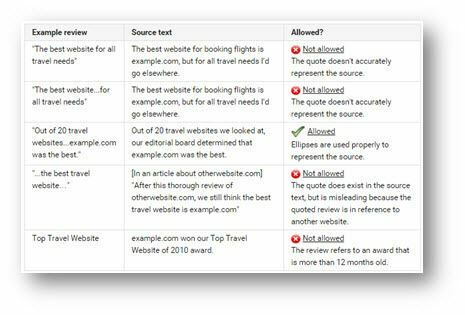 As such review extensions are a valuable feature that both convey trust and encourage clicks, but there are strict rules around there use. Review extensions can increase CTR by around 10% on average. To find out what Google has to say about their review extensions or how to set up review extensions, please follow the links provided. Desktop and tablet devices allow up to six sitelinks to show at once, if you have say eight in the group, it will rotate between them. Like all ad extensions, they do not always show and in this case not all of the sitelinks may show at once. Typically, the minimum Google will show is two sitelinks. The cost of a click on a sitelink is the same as the CPC for a standard click of the ad. Customised for different devices: It is possible to create mobile-optimised sitelink extensions (similar to optimised mobile ads) that appear on mobile devices, or you can choose to disable specific sitelink extensions on chosen devices. In-place editing: If you edit / amend the sitelink extensions in your account, this will not reset its performance statistics (unlike ads). 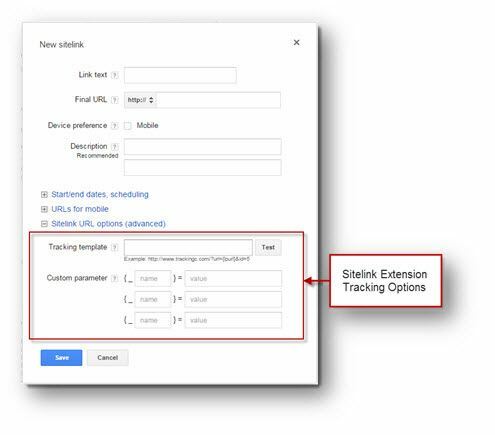 This uses ValueTrack parameters, which are similar to URL Parameters, and they allow you to collect information about the user such as the device type they are using when they clicked one of your ads. This works specifically with GA (Google Analytics) and parses information to GA.
We discuss Custom parameters in more detail in another guide. Please follow the links to find out what Google say about sitelinks or to read their full sitelink policies. It’s important to be as relevant as possible to the ads that they could show on, but also to avoid repetition, listing USPs in both the ad copy and the callout extensions wastes an opportunity to say something unique. You are required to create a minimum to two callouts at any level of the account if you are to have them show. For products, callouts are highly effective allowing you to add additional information about the product that could not go into the ad copy. More information allows you to meet more of the searcher’s needs and can encourage CTR. Because these can be created at ad group level, it is possible to have unique callouts for all of your products. Customised for different devices: It is possible to create mobile-optimised callout extensions (similar to optimised mobile ads) that appear on mobile devices, or you can choose to disable specific callout extensions on chosen devices. In-place editing: If you edit / amend the callout extensions in your account, this will not reset its performance statistics (unlike ads). Please follow the links to find out what Google say about callouts or to read their full callout extensions policies. This enables you to provide structured information about your products or services and are specific to them. This can encourage CTR by being more useful and allowing your ad to stand out from other ads. This can have a positive impact on conversion rates and ROI as structured snippets are more likely to encourage clicks from more qualified and relevant potential customers. 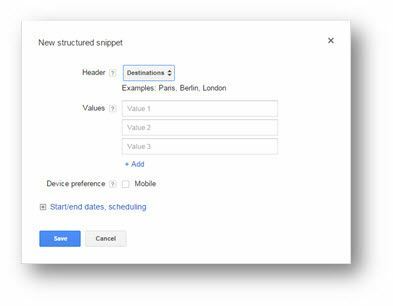 Structured snippets are also free as they do not provide a clickable link. There are a minimum of three snippets in the fields provided, but Google recommends using four. 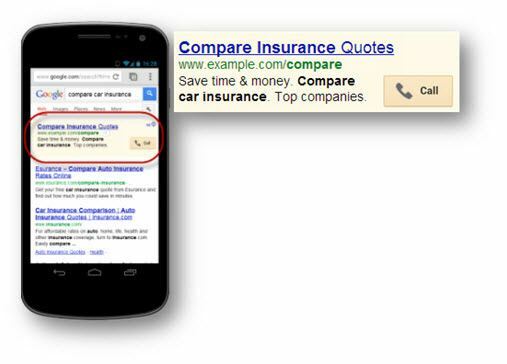 Snippets have a character limit of 25, but for mobile devices, Google recommend using just 12 characters. Snippets must be relevant to the header or the extensions may not be approved. 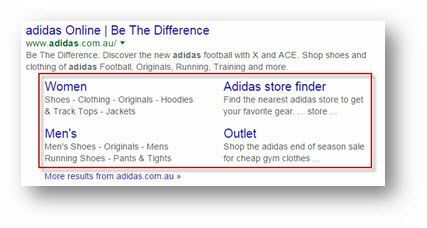 These have been removed from AdWords ever since 2013, when they were replaced by PLA’s (Product Listing Ads). These provide the same benefits to ad performance as manual extensions do, but because they are automated you have no control over them. The flip side is that they will not be disapproved by Google as they are made by Google! It’s always best to create your own extensions rather than relying on Google to create them for you. Creating your own extensions, typically will mean, that Google will show those rather than automated ones. There are exceptions to this such as ‘Seller Ratings’, which do not have a manual extension version. 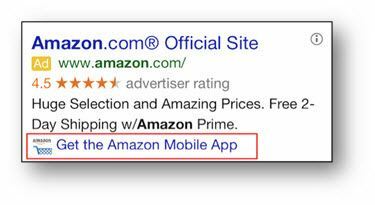 We detail all of the available automatic ad extensions below. Highlight your strengths: Consumer ratings highlight a business’s best survey ratings captured by Google. This emphasises the parts of your business where customers think you excel. Increase CTR & traffic: People always like trustworthy feedback from their peers, this is true for shoppers looking for a product or service. Consequently this can encourage CTR, increasing traffic and overall campaign performance. Better feedback: The feedback that Google provide from your customers is typically more balanced than feedback you see around the net. Because Google approach people, rather than waiting for them to leave feedback, you get less people who are really angry or really happy. Removing the outliers is conducive to more constructive feedback less driven by emotion. Google explain in depth how ratings are calculated, collected and how they work in this support guide. The below list, are all of Google’s preferred partners, you can contact any of these (through following the links provided below). Working with these businesses, will enable you to get seller ratings to appear in your ads. 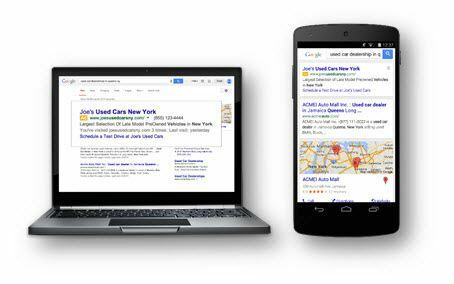 Google create these based on the performance of your organic listings for relevant searches as well as other ads on your account. If you would like to opt out of this feature, complete this form. No longer available as of December 2015. Here you can specify the dates for the ad extensions to run between. If you have seasonal offers, you can set start and end dates to ensure that promotions, prices, discounts, offers, etc are not shown outside of the periods in which they are running. Scheduling is available on all manual ad extensions and enables you to ensure that they are only showing when relevant. For example, if you have a call centre or reception desk that is only manned between 8am and 6pm, you can set the scheduling to only show the phone number between these times. You can also select a specific campaign, ad group, or the whole account when looking at this data, in addition you will need to choose a relevant date range. You can analyse and interrogate this data as you would any AdWords data. You can also use this data to optimise for your preferred metrics, whether it’s CTR, Conversion Rates, ROI, etc. By deleting poor performing sitelinks and creating new ones to test you can gradually improve the performance of all ad extensions.